"In this easy-to-read book, pastor Jack Haberer helps you seek God's will for your life. You'll move from deep theological considerations to street- level, daily-life practicalities-and you'll learn to chart a course through life's complexities, guided by the Scriptures, in the company of the church. My only complaint is that it wasn't available thirty years ago!" Jack Haberer's It's Complicated helps Christians figure out what to do when life gets complicated and the distinctions between good and bad are not so clear. Using Bible passages as a guide, Haberer affirms and then challenges many closely held beliefs, making traditional distinctions between "conservative" and "liberal" Christians obsolete. 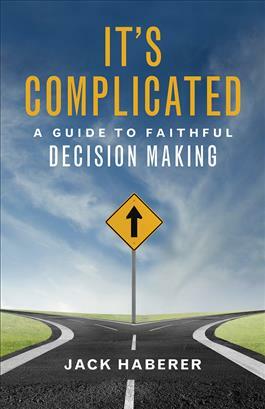 It's Complicated harks back to Joseph Fletcher's twentieth-century classic Situation Ethics (Westminster John Knox Press) and gives readers a toolkit for Christian decision making in a variety of complex situations. The book provides a framework for readers to reference when they're confronting moral dilemmas in their own lives, what Haberer calls "doing ethics by spreadsheet."